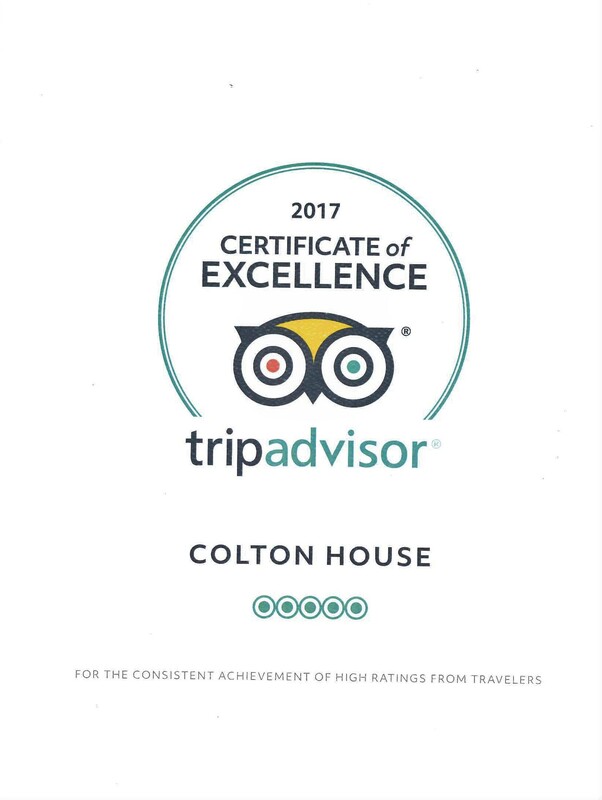 We are proud to say that Colton House has won numerous awards. 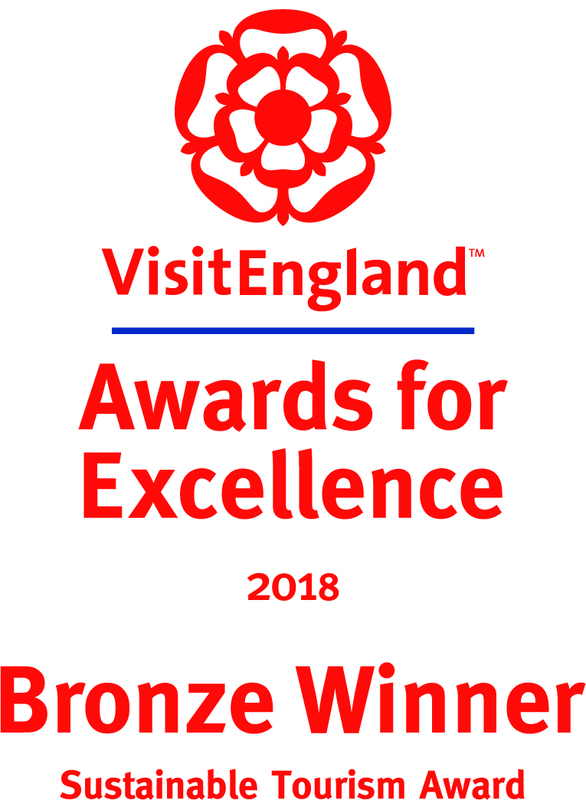 Colton House has won a Bronze Award in the Sustainable Tourism category at the prestigious National VisitEngland Awards at Bath on 23rd April 2018. After winning three Highly Commended awards (2014, 2015, 2016) in this category we move up this year to a Bronze. “The standard of the hundreds of applications we received this year was extremely high and that’s why Colton House’s accolade is a testament to their excellent work. The judges comments included ” Colton House makes good progress building on an excellent foundation, rather than seeing the historic property as an insurmountable challenge Ron and Gay have worked hard to maximise resource efficiency and use it as a showcase for local history and culture and act as champions for sustainability”. 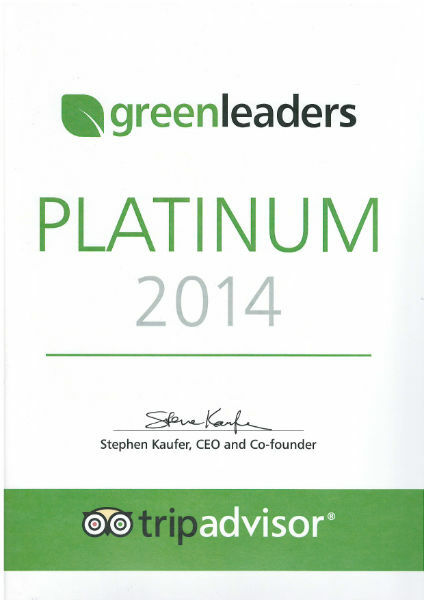 Our Trip Advisor Green Leader Award has been renewed at Platinum level, the highest level there is. We have held this award since 2014. TripAdvisor GreenLeaders properties have met a set of environmental standards developed for TripAdvisor by a leading environmental consulting firm, with input from expert partners. The more green practices an organisation has in place, the higher its GreenLeader level, which is shown on the property’s listing on the TripAdvisor site. There are four tiers at the TripAdvisor GreenLeaders level: bronze, silver, gold, and platinum. Travelers can now search for accommodation that have TripAdvisor GreenLeaders status on the TripAdvisor site, and view a detailed list of environmentally-friendly practices that they can expect at each location. 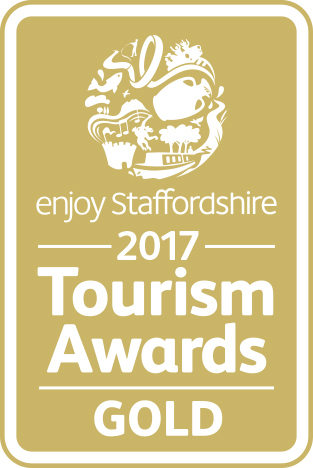 Enjoy Staffordshire Tourism Awards November 2017 - Best Sustainable Tourism Business Award. This is based on our commitment to sustainability. How we achieve excellence in this field, what we do to manage our energy, water, waste etc. In addition how we are supporting the local community/economy as well as what innovations we have made that inspire others. One of the major facets is what impact this has had on our business. We have won an award in this category for as long as an award has been available. 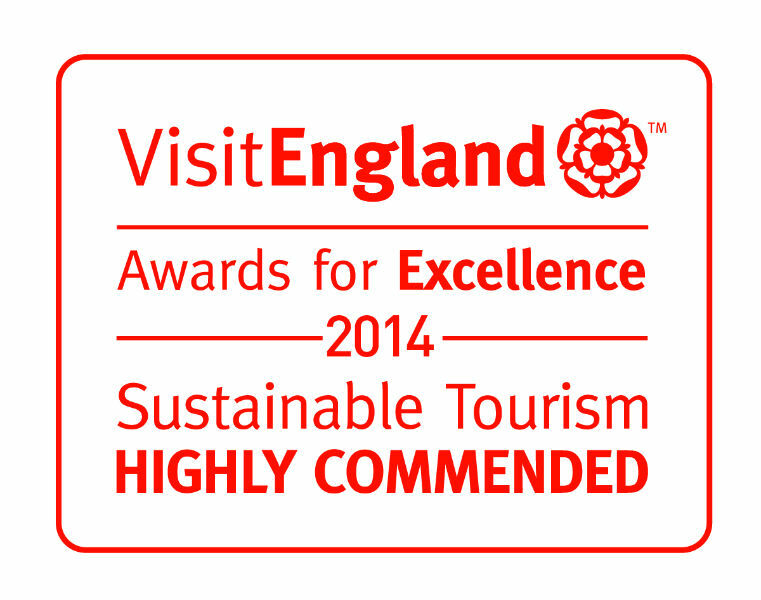 Colton House has won a Highly Commended Award in the Sustainable Tourism category at the prestigious National VisitEngland Awards for Excellence 2014 Ceremony. Commenting on the Award, James Berresford, VisitEngland’s Chief Executive said “It is a great achievement to win a Highly Commended Award in a field of very high quality applications. Green Tourism – Gold Award. We have held this award since 2012. Colton House was the first guest accommodation in Staffordshire and the entire Heart of England Region to win a coveted Gold Award from The Green Tourism Business Scheme in 2012, renewed each year, and remains the only guest accommodation in Staffordshire to hold this award. It is given for excellence in environmental practice. Colton House impressed the Green Tourism Awards panel so much that they did a case study of the property that is available on their website. Colton House was only the second business to receive this new award in 2011 and renewed each year. An Environmental Quality Mark is an award presented to a Staffordshire business that has proved that it helps to conserve and enhance the natural beauty, wildlife and cultural heritage of Staffordshire and that it minimises the environmental impact of its activities, safeguarding and protecting natural resources. In addition that it helps customers understand, enjoy and conserve the special qualities of Staffordshire and plays an active role in the economic and social well being of local communities within Staffordshire. We became a Platinum Level (the highest level there is) GreenLeader in 2014 this Trip Advisor program, which helps travelers around the world plan greener by highlighting hotels and B&Bs engaging in environmentally friendly practices. TripAdvisor GreenLeaders properties have met a set of environmental standards developed for TripAdvisor by a leading environmental consulting firm, with input from expert partners. The more green practices a hotel has in place, the higher its GreenLeader level, which is shown on the property’s listing on the TripAdvisor site. Ron Lawrence commentated ‘We are delighted that Trip Advisor has recognised our green credentials by awarding us the top Green Leader accolade that of a Platinum level, one of only 47 in the UK’.